About Us | Tackling the growing obesity crisis. The Local Authority Declaration on Healthy Weight provides councils with the tools to be able to align policies to promote healthy weight across all departments. All local authority departments, from planning and housing to transport and economic regeneration can impact on the healthy weight agenda, and a key objective is to advocate for healthy weight in all policies. Over three years of lobbying by local and nationals NGOs on this agenda has resulted in success. The Sugary Drinks Industry Levy (SDIL) will come into effect in April 2018, yet it is already having an impact with a number of major soft drink manufacturers reducing the sugar content of their beverage ranges. There is still work to be done to ensure the SDIL is effective, and we will continue to lobby for tighter manufacturer regulations on sugar content. Additionally, with the nationally recognised GULP campaign, Food Active will continue to work with local authorities, schools and communities to reduce the consumption of sugary drinks, through education programmes and communication channels such as social media. With the introduction of the new CAP rules on advertising of junk food to children online, we have seen some success in this area. However there is still much more to do. Food Active continues to advocate for tighter controls on junk food marketing, in all areas including sports sponsorship, celebrity endorsement and product placement. Working with the Children’s Food Campaign, a key action for 2017 will be to collect data on the perceptions of parents of junk food marketing to children. This will inform the next phase of our action around this objective. We support Local Authorities to encourage active travel through improved planning and infrastructure, but also through communications and education. There’s many ways local authorities can help us tackle the rise in obesity. Sign up to the Local Authority Declaration on Healthy Weight. Create environments that support health-promoting behaviours (NICE PH49) e.g. providing healthy food on premises. Focus on children and young people. Not take funding from (or invest in) ‘junk food’ producers. You can help us in our mission to make the North West healthier, we’ve a number of initiatives under way that need your help! Please use our ‘Contact Us’ page to register your interest. 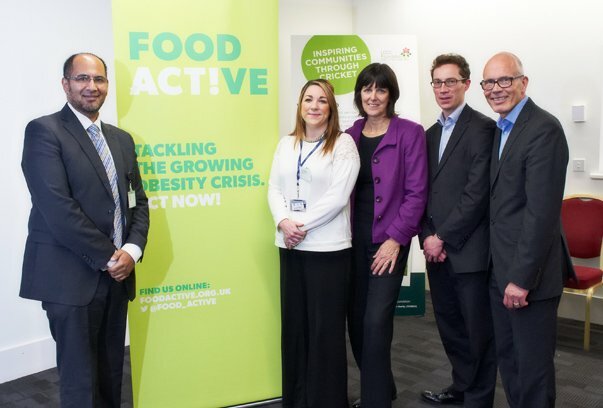 Food Active is currently funded by the North West Directors of Public Health.